When it comes to couples, Hollywood has no rules. Sometimes two stars that we would never expect would like each other, get together and fall in love (and usually end up divorced after a couple of years). Fans of famous couples know better than to get too excited when they get married because there’s a chance they will not last. Although Hollywood is full of glitz and glamour, more often than not it is full of astronomically high divorce settlements and bitter custody battles. Sometimes, however, not even all of that arguing and emotional exhaustion can keep two people away from each other. Remember Kim Kardashian’s 72-day marriage to Kris Humphries or Britney Spears’ 55-hour marriage? While these couples were only married once, they were certainly strange relationships. Well believe it or not, there were even crazier Hollywood relationships than those two. Some of the couples on this list married the same person twice or even three times! It sounds like they had a lot of confusing relationship problems. Some of Hollywood’s most famous stars have gone so far that they actually married the same person more than once. And were are not just talking about renewing vows. These famous Hollywood couples actually tied the knot, got divorced and ended their relationships, and then walked down the aisle all over again. Alas, most of them ended up divorced again because…Hollywood. The financial burden of these marriages alone are staggering, let alone the emotional challenges. While we know most of these celebrities are multi-millionaires, can you imagine having to pay for a divorce and two marriages? We guess money doesn’t matter when it comes to love. In addition to all of the money, these famous faces must have some odd relationships with their partners if they ended up marrying each other twice. We have compiled a list of the best known celebrities who have married their husbands or wives multiple times. While you may already know about some of these double marriages, others may surprise you. Some of these celebrities have such successful careers and towering personalities that it seems odd that they would not be able to make their marriages last. For example, Elon Musk married the same woman twice only to divorce her both times! We’ve heard of on and off again relationships but this is ridiculous. However, some of these couples really make us believe that soulmates do exist. 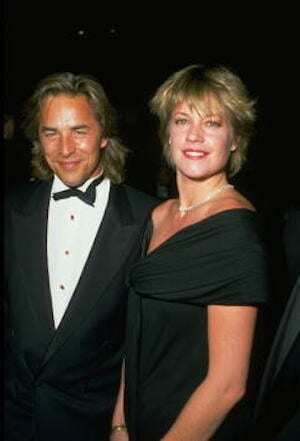 Before Melanie Griffith married and ultimately divorced Antonio Banderas, she was married not once, not twice, but three times to Don Johnson. The two first tied the knot in 1966 and divorced in 1976 only to get divorced and remarried in the same year! 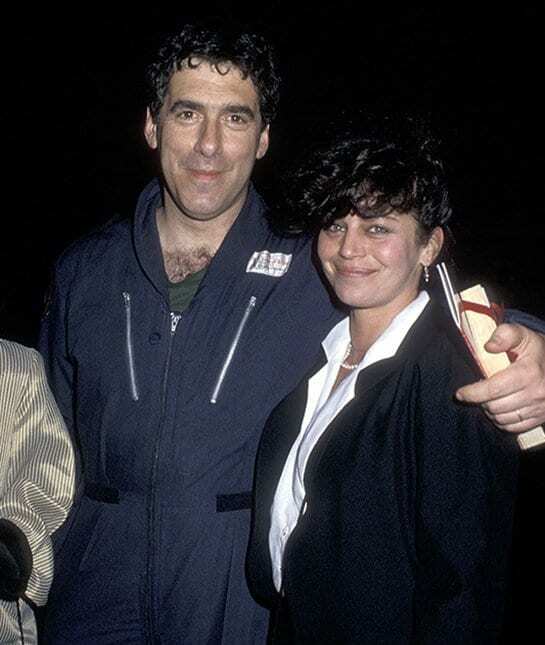 The marriage did not make it to 1977 and the couple took a long enough break for Griffith to meet and marry Scarface star Steven Bauer from 1981 until 1989. Griffith went back to Johnson and married him yet again, until they divorced in 1989 for the third and final time. Eminem has only been married twice and both marriages were to the same person. At least he is loyal. 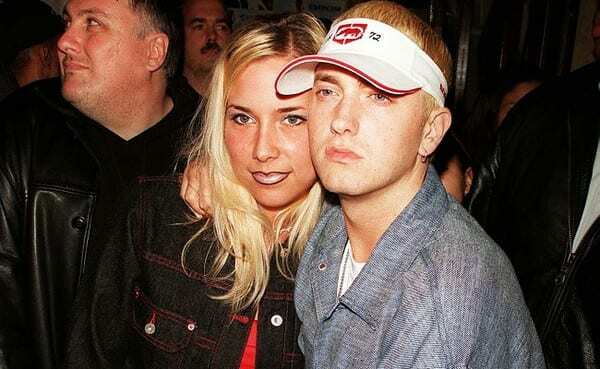 Marshall Bruce Mathers, better known as Eminem, married Kimberly Anne Scott for the first time in 1999 and the marriage lasted until 2001. The couple reunited in 2006 and got married again, however, it only lasted for the year. The couple managed to have three children as a result of both of their marriages and neither has married since. Jacki Weaver is an Australian film and theatre actress who starred in Silver Linings Playbook alongside Bradley Cooper and Jennifer Lawrence. 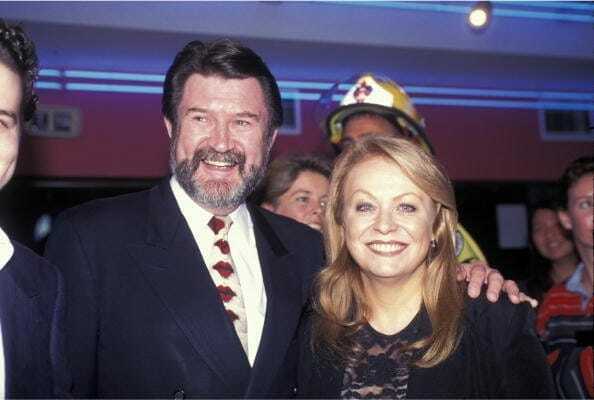 Before she became a famous star in Hollywood, Weaver was married to the Australian senator and media personality, Derryn Hinch. The two first tied the knot in 1966 and they remained married until 1970. They took a long break and got remarried in 1983. Unfortunately, it seems these two were not meant to be and they divorced again in 1996. Aside from her staggering beauty and immense acting talents, Elizabeth Taylor was known for having some tumultuous relationships. Taylor was married a total of eight times and two of those marriages were to Richard Burton. The two met in 1963 on the set of Cleopatra and they had a whirlwind romance. They married in 1964 and it lasted ten years until they ultimately divorced. However, the pair couldn’t keep away from each other and they married again in 1975 but that time around it only lasted for a year. Larry King and Elizabeth Taylor have something in common as they were both married a total of eight times! Just like Taylor, King was married twice to the same person. King’s third marriage was to Alene Akins whom he exchanged vows with in 1961. The marriage dissolved in 1963 and he went through another marriage to someone else until he eventually found his way back to Akins. The two tried the whole marriage thing again in 1967 but it only lasted until 1972. King went on to marry 3 other women. 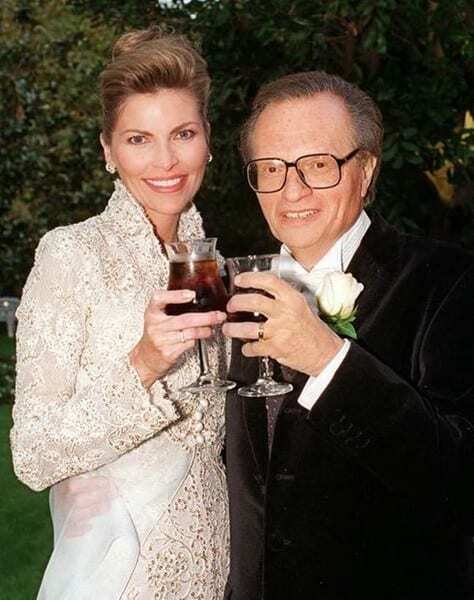 Barbara Walter is currently 88 years-old and single, however, the famous broadcast journalist was married four times. Her third and fourth marriages were to the television producer, Merv Adelson. The couple first wed in 1981 but they divorced in 1984. They rekindled their love in 1986 but it didn’t last and they ended it for the second time in 1992. Walters has one daughter whom she adopted during her second marriage to Lee Guber. 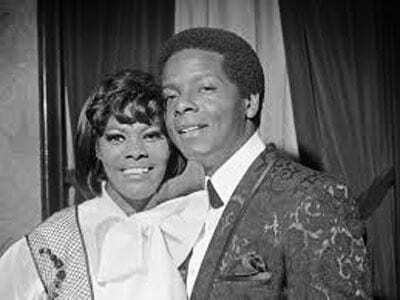 Dionne Warwick is a famous singer and actress and unlike most celebrities, Warwick has only been married to one person, albeit twice. Warwick was married to actor and drummer William Elliot but the two had quite a tumultuous relationship. They first married in 1966 only to divorce in 1967. They reconciled that same year and got remarried in Milan. The couple had two children together before they eventually divorced again in 1975. William Elliott died at the young at of 49 in 1983. Nene Leakes is a famous celebrity housewife, television personality and star of The Real Housewives of Atlanta. 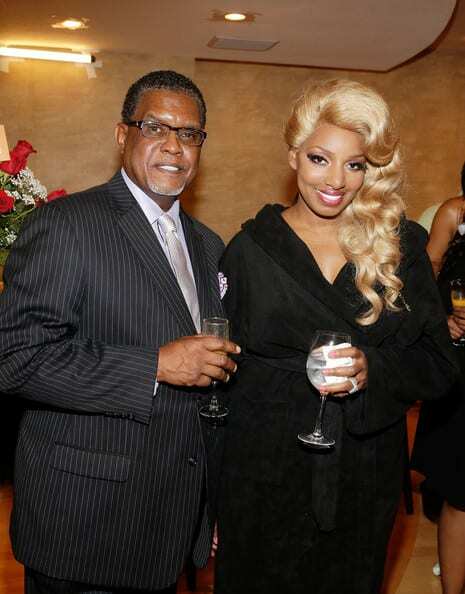 Nene married Gregg Leakes in 1997 and the couple had a great run until their 2011 divorce. However, the pair could not keep away from each other for long and they announced that they were engaged in 2013. They turned their wedding into a Bravo event titled, I Dream of Nene: The Wedding. The two have been married ever since and we hope that it lasts this time. Jean-Claude Van Damme is better known as the muscles from Brussels. The martial artist and actor is also known for his numerous marriages. 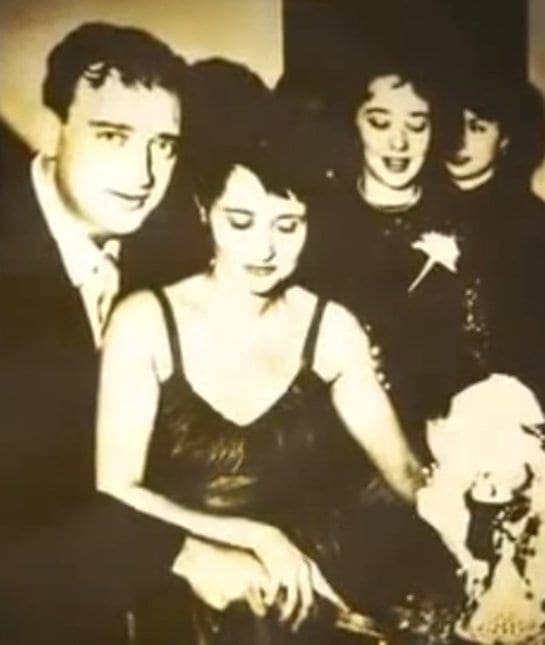 Before he met and married Gladys Portugues, he tied the knot with two other women. Everyone thought that his marriage to Portugues would last as the two had a lot in common. Portugues is also an actor as well as a female bodybuilder. The two were married from 1987 until 1992 and after Van Damme allegedly cheated on his fourth wife, the couple remarried in 1999 and they have been together ever since. 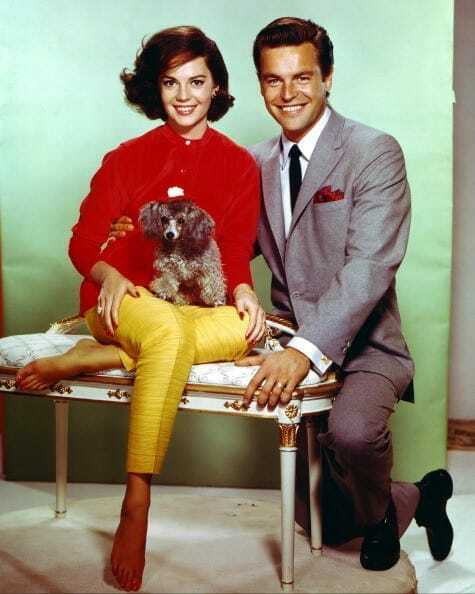 Natalie Wood was a child actor and the star of the hit Christmas film, Miracle on 34th Street. She went onto star in other films such as Rebel Without a Cause and West Side Story. Wood was married to stage and film actor, Robert Wagner from 1967 until 1962 and again in 1972. Wood passed away in a mysterious drowning in 1981 and she was still married to Wagner at the time. Wood was on a boat with her husband and Christopher Walken at the time and there are a lot of questions that remain around her death. David Adkins was better known by his stage name, Sinbad. The stand-up comedian and actor admitted that he was not ready to be married when he first walked down the aisle with Meredith Fuller in 1985. The marriage only lasted until 1992 and ended in divorce. However, the two reunited in 2002 and they have been married since then. We guess it took some time away for these lovebirds to realize that they were meant to be. The couple have 2 children together. Marie Osmond is a member of the sibling duo Donny and Marie with whom she now has a Las Vegas residency. Marie has been famous since she was a young girl and unfortunately, she was not able to avoid the hardships of relationships in the limelight and she was married a total of three times. However, two of those marriages were to the same person, Steve Craig. The couple were married in 1982 and divorced in 1985. After her marriage and divorce from Brian Blosil, she remarried Craig in 2011. Judith Susan Sheindlin is better known as Judge Judy. The famous television judge has been on the air since 1996 and she is still working at the age of 75. Judy was first married to Ronald Levy from 1964 until 1976. 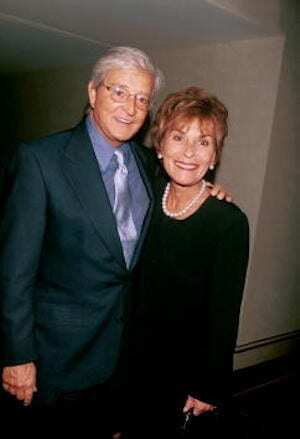 They divorced and Judy married Jerry Sheindlin in 1977. They divorced in 1990 only to remarry in 1991. These two are truly soulmates and they have been together ever since. Judy has two biological children from her first marriage and three step children from her marriage with Sheindlin. Richard Pryor took marriage to the next level when he married two different women twice! The stand-up comedian and social critic had a total of seven marriages with 5 different women. Pryor was married to three women before he married actress, Jennifer Lee in 1981. It only lasted for a year and Pryor went onto marry another actress, Flynn Belaine, in 1986. That marriage also lasted a year and the pair divorced before remarrying in 1990! Pryor had a thing for year long marriages and he divorced Belaine again in 1991. He went back to Jennifer Lee in 2001 and they remained married until 2005. Frida Kahlo was a famous Mexican painter who is best-known for her iconic self-portraits. 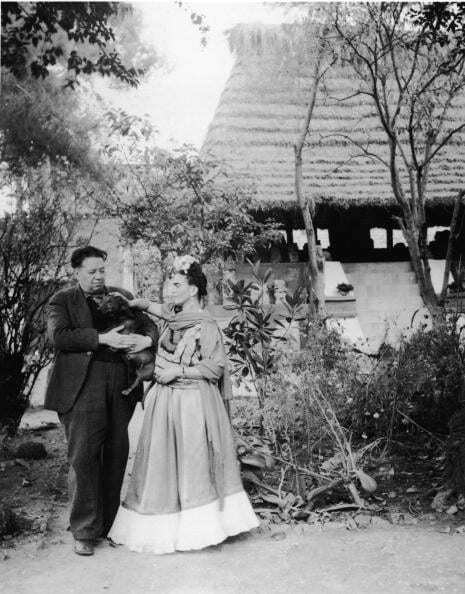 Kahlo was married to fellow artist and painter, Diego Rivera. The two met when Rivera was married when he was 42 and Kahlo was only 22. A relationship developed and the couple married not just once but twice. 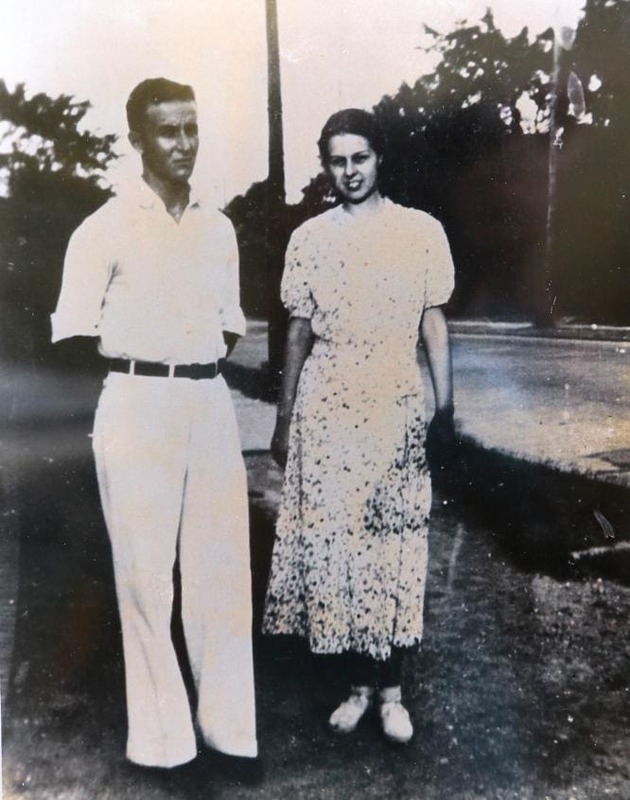 They first married in 1929 and divorced in 1939. Only a year later, the couple decided to give it another go and they were married from 1940 until Kahlo’s death in 1954. 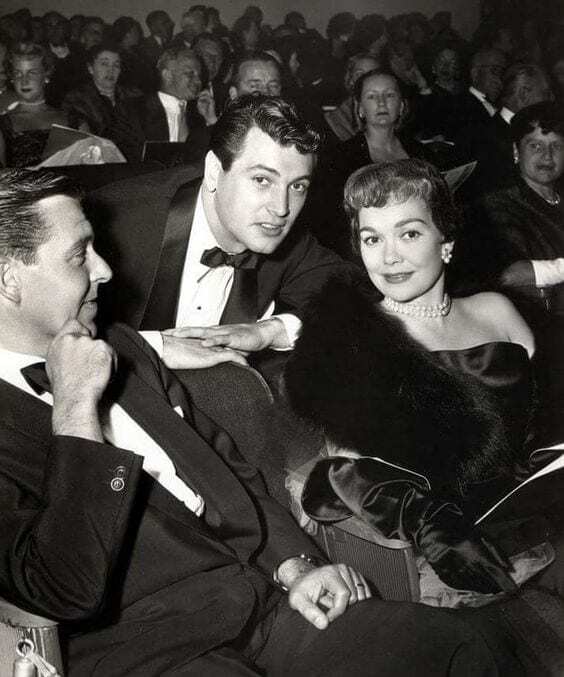 Lana Turner is another Hollywood starlet who went through a number of wedding dresses. She was married a total of 7 times and although she was not technically divorced from Joseph Stephen Crane, she did get the marriage annulled after she found out that the actor was not officially divorced from his previous wife. They married in Las Vegas but separated briefly (in which time Crane attempted to take his own life). They reunited to care for their newborn daughter, however the second go at marriage did not even last a year. 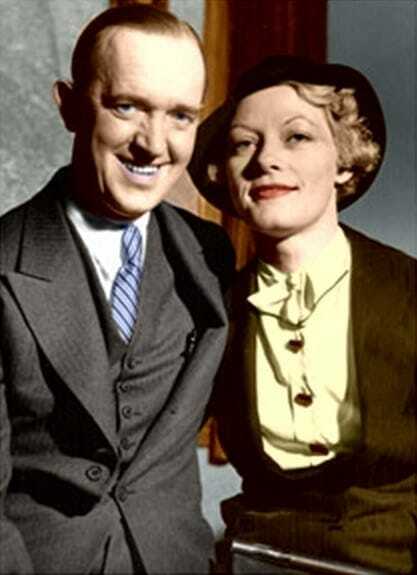 Although divorce was quite a scandal when the English, comic actor Stan Laurel was around, he managed to go through a lot of marriages. Laurel was married to a total of five women and two of his 6 marriages were to Virginia Ruth Rogers. The couple first wed in 1935 but it only lasted for 2 years. Laurel went through another failed marriage before he reunited with Rogers in 1941. This time the marriage lasted a little longer, however, it ended in another divorce in 1946. Rosemary Clooney was a famous actress and singer in the 1950s. She is also the aunt of another famous actor, George Clooney. Clooney first married the Puerto Rican actor and film director, Jose Ferrer, in 1953. The couple divorced for the first time in 1961 but reunited in 1964. However, their second marriage did not last long either and they divorced for the second time in 1967. Clooney married Italian actor, Dante DiPaolo in 1997 and they remained married until her death in 2002. Ben Stein is a political commentator and actor and he is most famous for his role as the boring economics teacher in Ferris Bueller’s Day Off. 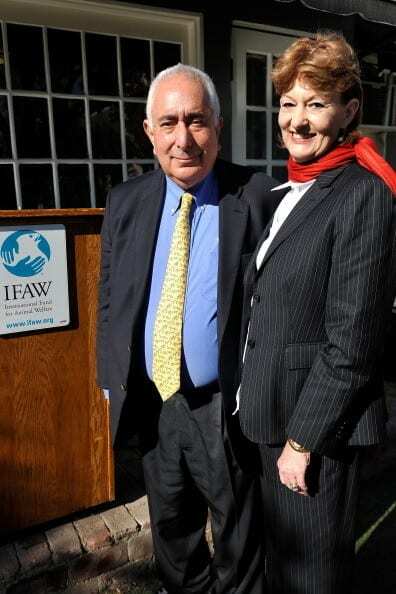 Ben Stein and his wife are both loyal people as they have only ever been married to each other. They first tied the knot in 1968 but got divorced in 1974. They decided to give it another go in 1977 and it looks like they made the right decision as they have been married ever since. George C. Scott was a famous stage and film actor known for his portrayal of General George S. Patton. Scott was married 5 times to four different women. 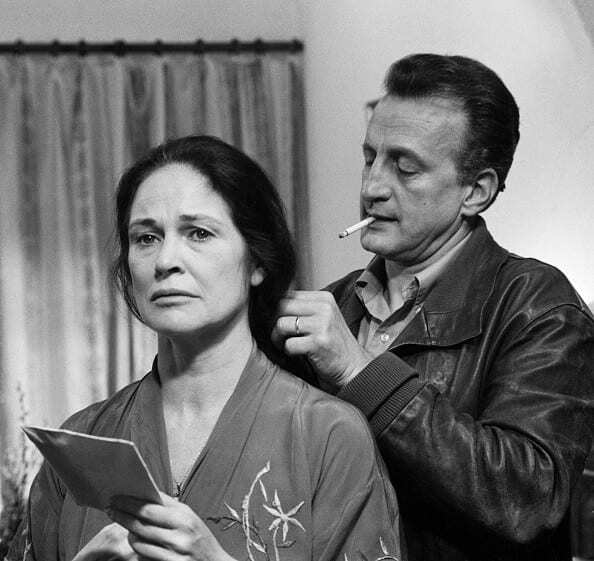 He first married the American-Canadian actress, Colleen Dewhurst in 1060 and the marriage lasted for 5 years. The two remarried in 1967 but their second try only lasted until 1972. 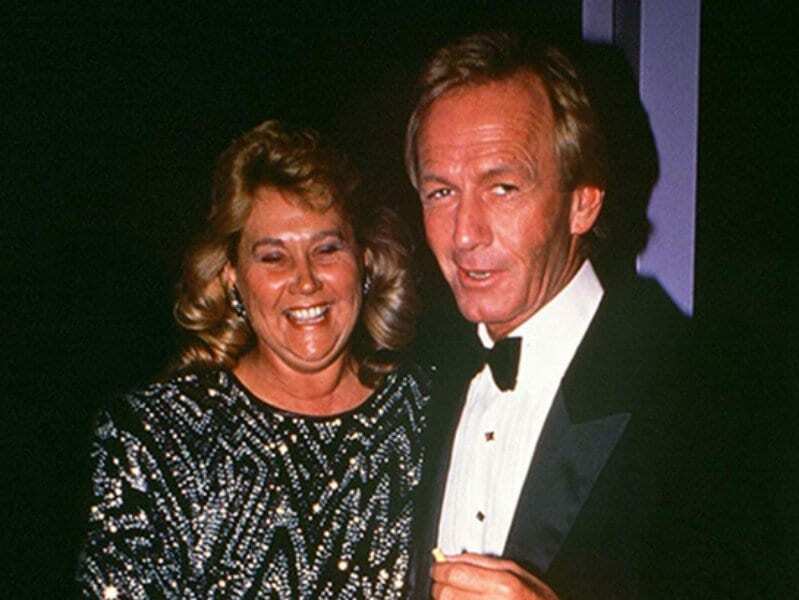 Scott was married to one more woman, Trish Van Devere until he passed away in 1999. Elliott Gould is an actor best known for his roles in M*A*S*H and Ocean’s Eleven. He also played Monica and Ross’ dad, Jack Geller, on Friends. Before he married Jennifer Bogart, he was married to Barbara Streisand. 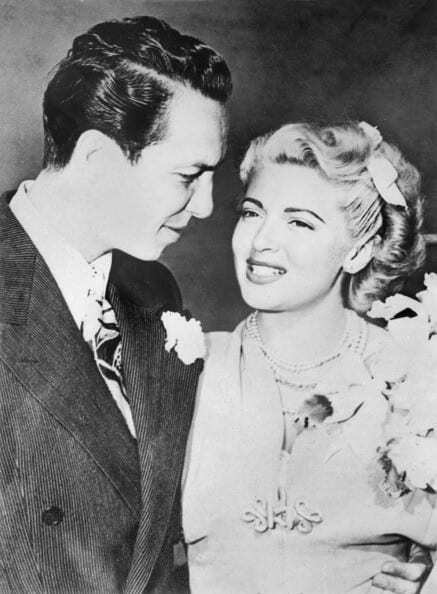 They divorced in 1971 and he and Bogart wed in 1973. They divorced in 1975 but tied the knot again in 1978. Unfortunately, the third time was not the charm and they divorced just a year later. Rodney Dangerfield was a stand-up comedian and actor and was known for his catchphrase, “I don’t get no respect!” Dangerfield first married Joyce Indig in 1949 and they got divorced in 1962. They tried their luck again in 1963 but the second marriage ended in 1970. The couple had two children together before they ended things for good. 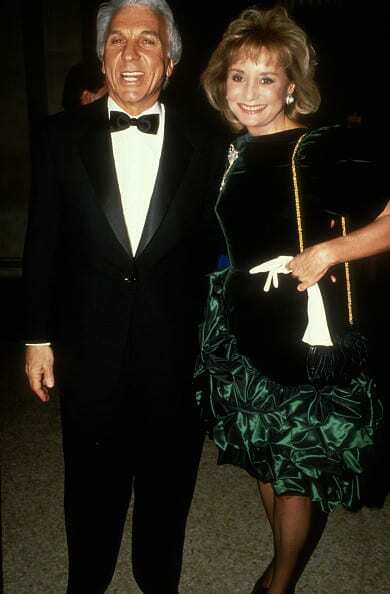 Dangerfield went onto marry Joan Child in 1993 and they remained married until his death in 2004. Paul Hogan is an Australian actor and comedian who starred in the Crocodile Dundee movies. He married Noelene Edwards in 1958 and it lasted a long time until 1981. They divorced, only to remarry a year later. This time the marriage ended must quicker in 1990. Hogan allegedly left Edwards for the second time after he fell for his much younger co-star, Linda Kozlowski. That marriage didn’t last either and ended in divorce in 2014. Carson McCullers was a novelist, playwright and poet known for her book, The Heart is a Lonely Hunter. McCullers had quite a tumultuous life and relationship with her two time husband, Reeves McCullers. The two initially wed in 1937 but they divorced in 1941. They remarried 4 years later and in 1953, he attempted to convince her to take her own life with him. Reeves ended his life and Carson ended up dying at the age of 50 due to a brain hemorrhage. Jane Wyman married a number of men including the former President of the United States, Ronald Reagan. 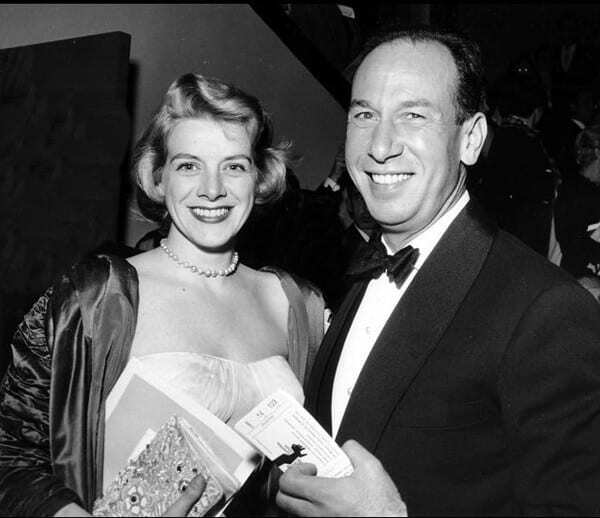 After three failed marriages, Wyman married film score composer, Fred Karger in 1952. The marriage did not last long and the couple was divorced by 1955. They tied the knot again in 1961, only to divorce again in 1965. The two had one child together. Karger also had his fair share of marriages and he was married to two other women besides Wyman. Elon Musk is a famous businessman, CEO and investor, however, he has not had as much success in his personal life as he has had in his career. Musk first married Justine Musk in 2000 and the pair had 6 sons together (one passed away) before they ended the marriage in 2008. 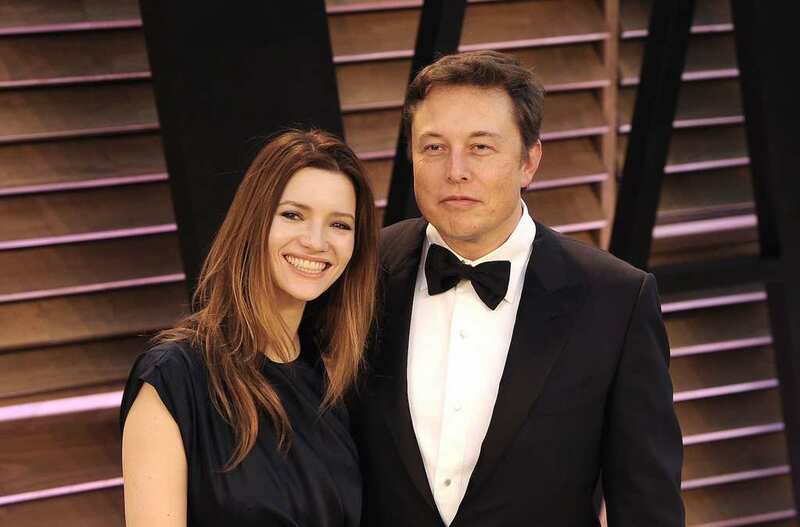 Musk went onto marry the actress Talulah Riley in 2010 before divorcing her in 2012. They married again in 2013 only to end the marriage once more in 2016. Pamela Anderson was famously married to Motley Crue drummer, Tommy Lee and the singer and rapper, Kid Rock. However, her most recent two marriages have been to the same person. Rick Salomon is a poker player who has had relationships with many high profile women. He first married Anderson in 2007 but the union only lasted a year. The couple decided to give it another go in 2014, but yet again, the marriage did not make it over the year mark. ¿Cómo Anna Delvey Fingió Ser Millonaria Sin Tener Un Céntavo?